Here at Hills District Veterinary Hospital we run a very special kitten adoption program in memory of our beloved Practice Manager, Ky Winsor. Ky loved all animals but rescuing waifs and strays, nursing them back to health and helping them find amazing new homes became a passion. Our rescue kittens are given important health checks, vaccinations, microchipping, flea and worming prevention. Desexing is done prior to adoption unless too young or underweight. Desexing is still including in our adoption fee. To adopt, Please contact Hills District Veterinary Hospital via phone or email. Leili is a gorgeous girl who loves nothing but a good head scratch! Leili was rescued off the streets with her babies and has been an amazing mum to two orphaned kittens aswell. She has really come out of her shell in foster care and will let you know when she’s hungry! Leili is great around other cats but has not been tested with dogs. She is a gentle and sweet girl who would love nothing more than to sit next to you on the couch and get pats. 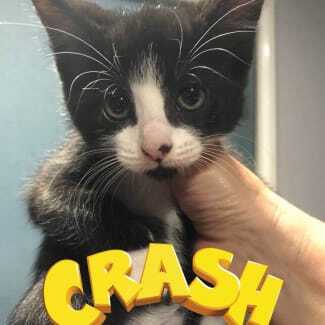 Hi my name is Crash and I love to play! I can be cheeky at times but the good kind of cheeky! I would love to meet a family that will love me just as much as my foster mum does! 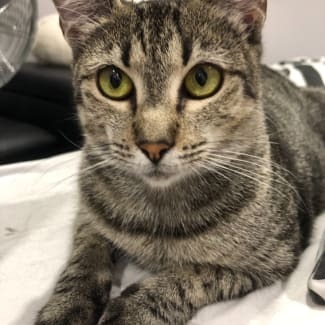 I have been well socialized with other cats and would easily adapt to any household! I look forward to meeting you soon! 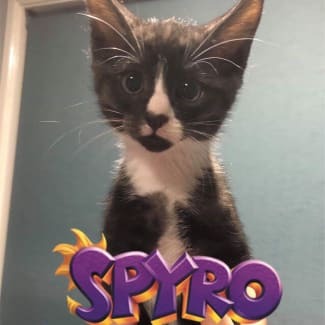 Hi my name is Spyro and I’m looking for a home to call my own. I’m extremely outgoing and have been well socialized with other cats. I love to run around and be cheeky but I also do like attention. I would easily be able to adapt to any household and hopefully have someone to snuggle with at night. I look forward to meeting you! 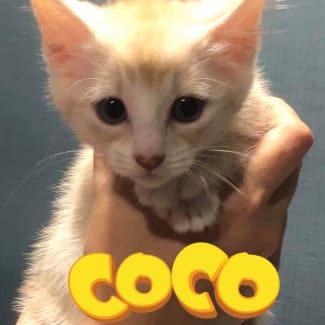 Hi I’m Coco and I love to play with my toys and litter mates. I also like to cuddle. I’m looking for a home I can call my own! I love playing with other cats and kittens but would be open to making friends with dogs. I look forward to meeting you soon! 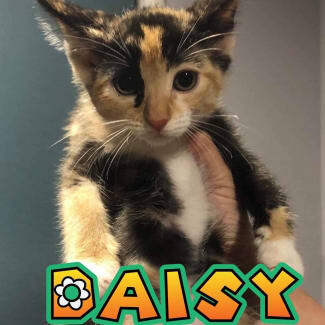 Hi I’m Daisy! I’m super playful and love to wrestle with my siblings! I’m looking for a home to call my own and someone to snuggle with! I love playing with other cats and kittens but opening to making friends with dogs! I look forward to meeting you soon!